According to the latest Media Consumption Forecast from Zenith Optimedia, the future is bright for mobile media consumption. While non-mobile media consumption – including desktop internet and traditional media – is predicted to decline by around 3 or 4% this year, the growth in mobile media consumption is continuing to skyrocket with an expected increase of 28% in 2016, pushing overall media consumption statistics to an all-time high. Television still dominates the market, with consumers spending an average 177 minutes per day watching television in 2015. Nevertheless. mobile is on the rise and has finally overtaken desktop as the primary means of accessing the internet with consumers spending an average of 86 minutes per day on mobile media, compared to a sparing 36 minutes on desktop. The forecast predicts that by 2018, a staggering 71% of global internet consumption will be via mobile. The statistics are illuminating and play a critical role in helping companies understand how to effectively market themselves to an ever evolving consumer base. As mobile overtakes desktop, businesses need to shift their focus to mobile marketing and communications. BI Intelligence – Business Insider’s research service – recently compiled The Mobile Marketing Report which takes a look at today’s marketing tactics from mobile technologies such as SMS to beacon-aided location based marketing. 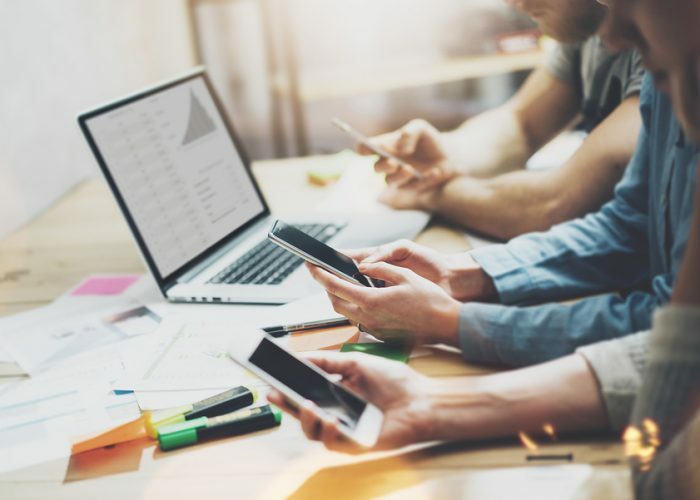 The report hones in on some of the more useful mobile marketing technologies that mobile marketers should employ as part of a larger strategy. Marketers need to leverage a variety of mobile tactics according to the size and demographic of their target audience and the sort of messages they send. As with all mobile marketing, marketers must consider the personal nature of mobile communications and avoid communication overload. In-app advertising can bolster customer engagement, with location-based apps offering data which specifically enhances targeting capabilities. The report also identifies the major mobile technologies used to contact consumers, including concrete examples of companies that have successfully leveraged mobile technologies as well as reviews of the efficacy of their approach and any pitfalls or shortcomings. Interested in mobile marketing? With over ten years’ experience and a suite of messaging solutions, we can help you re-energise your marketing strategy and reach your business goals. For more information about Fortytwo and what we can do for you, please contact our dedicated sales team at sales@fortytwo.com.